There are many ways to get stronger. 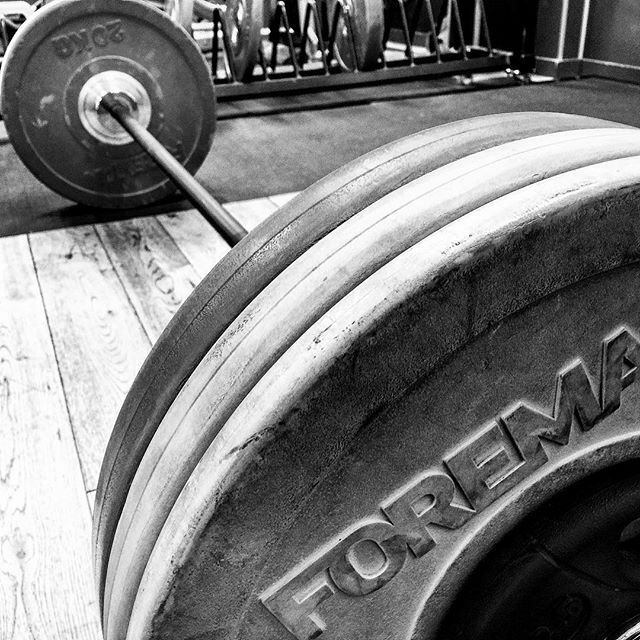 Progressive overload with a barbell is my first choice. It's simple, and it works if you do it properly. After those gains run out, you enter intermediate programming. Before I embarked on the crazy experience of Squat Nemesis I was already squatting 4 times per week. The difference was light weight with explosive power. “Grease the groove” was the cool name of the strategy I was using. As part of my warm-ups I would squat with a weight I could do 20 reps with. Around 50% of my 1 rep max. I'd do 4-6 sets of 2-3 reps explosively. Completing each rep with such ferocious power that the bar hopped off my back for a split second. If you have never lifted with this level of explosive power, then you are in for a treat. You don't need the bar to literally jump off your back, but try to finish the rep of the exercise with as much force that you can. I practiced 'grease the groove' for a month. I also found a great article by Zach Even-Esh that inspired me to put this plan into action. When I started the Squat Nemesis program, my body was adapted to a high frequency of squatting. Even though the weight on the bar was much heavier with Nemesis, I was more confident in my squat. Confidence and technique go a long way in strength training. Speaking of technique. It's imperative that you do every rep with the best technique possible. Even though the weight is going to be light and the reps won't be near max, you need to hunker down and dial in your form. Treat the lift like it's near max effort. You should get tight in the right areas and dominate the weight whether it's on your back, above your head or if you're doing bodyweight movements. It's easy to let your form slide on pushups and pullups. We take them for granted. Don't do it. Perfect practice on every rep. Lots of perfect reps spread out over the day to ingrain the movement pattern. Grease the groove is an efficient method to prepare yourself for a grueling program like Nemesis. Want to know how you can set some new PR's using this method? Your squat technique needs to be improved? Time to grease the groove for the next month. Only choose one exercise. Grease the groove works well for bodyweight exercises like pullups, dips, pushups, handstand pushups. Also for barbell lifts, olympic lifts. If you can do 30 pushups you will only do 12-15 at a time. You will perform them multiple times per day. It should feel easy. But don't forget to apply maximum force to each rep and make them perfect. 3- Grease the groove for 2-4 weeks. For bodyweight movements, you can train them everyday. Anywhere from 4-7 days per week on the big lifts. I know it sounds crazy, but remember you are not going anywhere near a max with your grease the groove lifting. You may get sore and tired but you should never be in serious pain. If so, get that worked out. After 2-4 weeks test yourself to see how much you've improved. Go for a rep max or new 1 rep max. 4- Decide When to Do The Exercise. As part of warm-up. (I prefer this option) You will do your regular warm-up, just include the lift you choose. For barbell lifts 4-5 sets of 2-4 reps is ideal. Or at the end of your workout in place of a finisher or conditioning. Add this lift to your warmup. Example 5 sets of 2 reps with 225 when max is 365. I think the warm-up option is superior because you are fresh and this is where you want to place the majority of your energy. But don't stress over this. Just get it done. For the big lifts- squat, bench, deadlift you want to be complete each repetition with the intent of exploding through the end with as much force as you can possibly generate. You want to "own the weight." Dominate it. Think of it as a huge max effort you have to push through with all your strength all the way through to the end of the lift. One unexpected benefit of doing grease the groove at a commercial gym is the looks you get from people when they see you doing the same lift every single time you are in the gym. They start calling you 'squat guy' or maybe 'deadlift king'? Wouldn't you like to be known as squat king or bench master or handstand push-up extraordinaire? Instead of being just another bro sitting on a machine checking his instagram between half-assed sets? Because I know that isn't you!